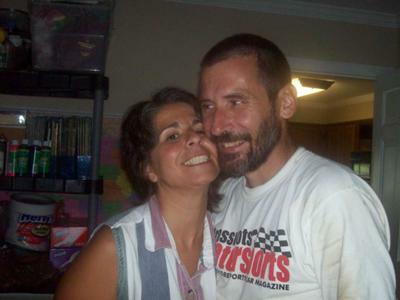 Me and my hubby (Paul) of 23 years! I've been homeschooling for many years, and when I ask most of my peers what the vision for their school is, I get slightly uncomfortable giggles or blank stares. Truth-be-told, my own family has gone many years without a written vision for our children's education and future. No matter what your reasons for homeschooling are, a vision forms the foundation of where you begin and guides you on your journey. 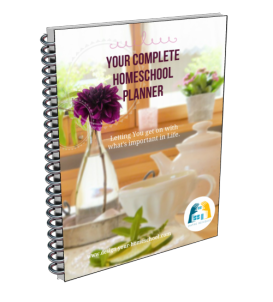 If you've missed this step in your homeschool preparation, read on to learn 1) why you should consider forming a vision, and 2) how to accomplish the process. What's So Important About a Vision? 1) A vision is the foundation of a plan - and "those who fail to plan..." well, you know the rest! Talk to any successful business owner, they'll tell you they have a written plan - heck, they'll probably show it to you! Life coaches and consultants all emphasize the importance of knowing where you're going. Don't you check a map when you're going on a trip to a new destination? Think of each new school year as a trip, and the successful completion of it as your destination. Create a map so you get there! 2) A vision keeps you from getting distracted - Getting back to the map analogy, without one, it's really easy to get distracted or disoriented if you're on a new road. Tourist attractions and neat places to visit sometimes look interesting to "check out" but may add unnecessary or excessive travel time. It's also easy to get lost if you're in a city, for example, or in the middle of an unfamiliar rural area. A vision helps you to decide where to get off ~ if it's helpful to your travels ~ and encourages you to keep on the road you've mapped out when that's the better option. 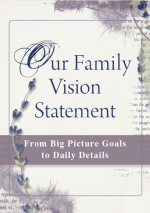 First, of all, remember that a vision is a "living document". It changes as your children and you grow and change. So don't sweat the small stuff! 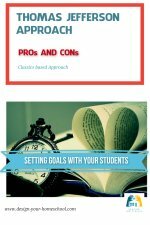 Start out with a Master List of areas you want you child to develop. It's probably easier to start with academics or subject areas. Your vision can be as general or specific as you'd like; but be aware that when you get to minutiae, you're probably getting into goal-setting (but that's great, too!). From academics, you can branch out into other areas like social skills or life skills. Decide which things are best handled short-term or long-term. Personal hygiene or home-making skills you'd like your child to master are good examples of items that are on the short-term list, and are best considered goals, rather than part of a vision. Add things you'd like to accomplish as a family, as well. This can be fun when you get input from the kids. It becomes a way of learning where their hearts and dreams are headed too! Finally, review your vision periodically to see what you've accomplished and where you're headed. 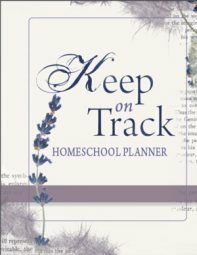 Pat Fenner is a veteran homeschooler with 2 young adults in college and 3 elementary-age children at home. She runs a network marketing business from home and coaches small business owners. 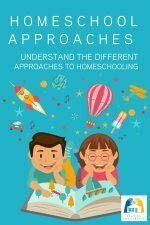 Her passion is to see fellow homeschoolers plug into the skills and passions they already have to create a lasting income for their family.